Think of everyone who works for your company as an unofficial spokesperson; the knowledge they share can help fuel sales or improve experiences for customers. This is particularly important in large, service-oriented companies where employees of all levels continually interact with clients (think of a hospital or chain of coffee shops). When employees are informed and engaged, they are more likely to be positive brand ambassadors. They’ll speak highly of your organization, share exciting information with friends, families and customers, and help advance communications goals. The days of employees staying at one job for 20+ years are over. Millennials are the largest generation in the workforce and research shows that they are nearly three times more likely to switch companies than any other age group. Avoid costly turnover and boost retention with strategic internal communication efforts. Here are a few ways to engage your employees, help them feel emotionally connected to their work and ensure they will stick around for the long run. As always, strategies and tools will vary depending on the size of your organization. Use internal communication tools to invite feedback from your workforce. When you encourage employees to voice their opinions anonymously, you’re able to validate direction and use their responses as an important step in the research process. Whether you’re testing messaging, trying out a new website feature or deciding which topics to focus on in a publication, establishing a dialogue with your employees is a great way to encourage collaboration. 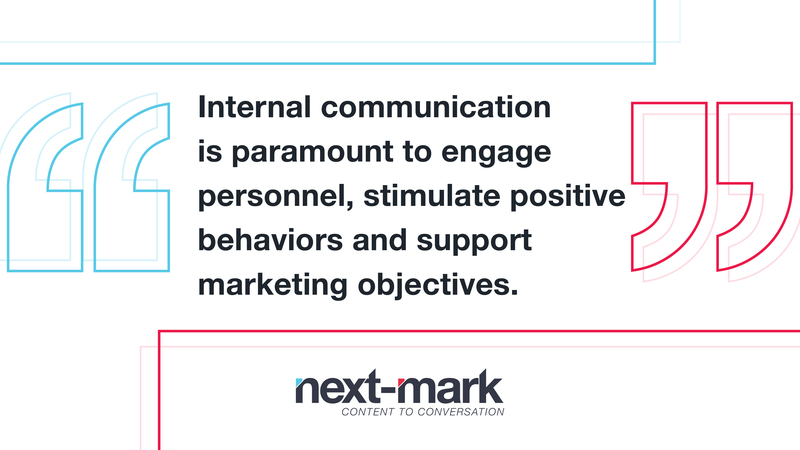 When executed strategically, internal communication can help advance organizational objectives and equip employees with the information they require to remain connected and devoted to your company. Do you need help launching an employee communications program? Let us help you get started!